Chevrolet's Cruze sedan for 2015 marks the first time in a long time that GM has been a serious contender in the compact-car arena. The Cruze can safely take on heavy hitters like the Toyota Corolla and come out smelling like a rose. From its comfortable interior to its fuel-efficient diesel model, the Cruze has all the bases covered. Chevrolet Cruze: a great car for a lone traveler. The car is very good if you tend to travel a lot and alone. The front is very spacious allowing both the driver and front passenger a lot of room when controlling the seats. One drawback, in my opinion, is that the driver seat controls are electronic rather than mechanical so adjusting can take a bit of time. With that however, the back of the car is very much on the smaller side. Many people have complained about how little room there is for their legs when sitting in the back of the car. Thus, it is not a very good family car or a multi-traveler car. Additionally, the trunk is surprisingly big as well and even came with a handy net for holding loose objects or groceries. Technology wise the car has great speakers with easily adjustable settings. Within the center console there is an AUX cord as well as a USB port. Moreover, the car has excellent mpg, I personally have a 1 hour commute to and from school everyday and only need to fill up my car once every week and a half. Overall, I would recommend this vehicle. 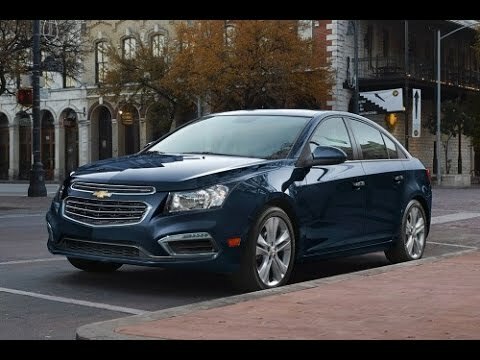 2015 Chevy Cruze: best car I have ever been in. This car is a great car. Not only does it run smoothly, but it handles well and is good on gas. It is reliable, comfortable and safe to drive. It also comes with a really good sound system and a CD player, and Bluetooth capabilities for playing music from your phone. The center console has a USB port for charging cell phones, and the glove compartment is a nice size too. The trunk is larger than you would expect, I regularly fit my bike in it. I like the electronic adjustments for the mirrors and windows, it is very convenient. I love the cherry red color and the shiny paint. The car has a good heating system too, same with the air conditioning. The power steering is comfortable and smooth, and does not lock up or become difficult. The brakes are very good, very powerful. Same with the emergency brake. I have never had any problems with this car, and would definitely recommend it to a family member of friend. You�ll never need to look at your phone while driving, the car is your phone. My car is a 2lt which means it has almost every bell and whistle you could want. It had leather seats, Bluetooth, touchscreen. It has never had any performance issues, it is turbo charged so it has go to it which is what I love. The reliability of this car is incredible I know this vehicle will never leave me stranded anywhere no matter what. The only time my vehicle has had to go to the shop is for an oil chance or I ran over a nail. The car also has visual tire pressure so you can see how much air is in each tire without having to get out and do it yourself. The comfortability is also incredible, it is perfect for me and can hold all I need including people! Having all the controls I need on my steering wheel is also a huge bonus, I can answer calls from it, change a song, adjust the volume, and control my cruise control. Very helpful and convenient!